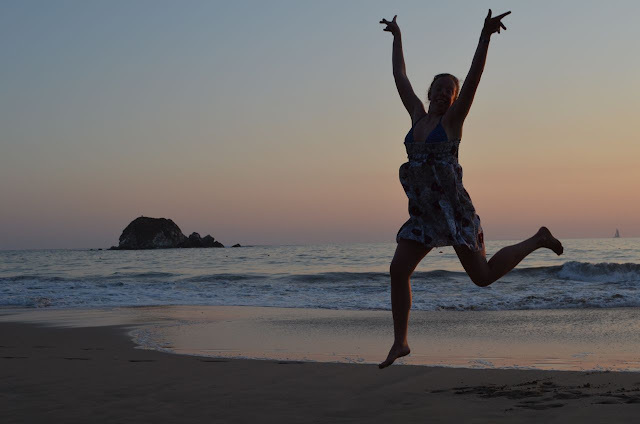 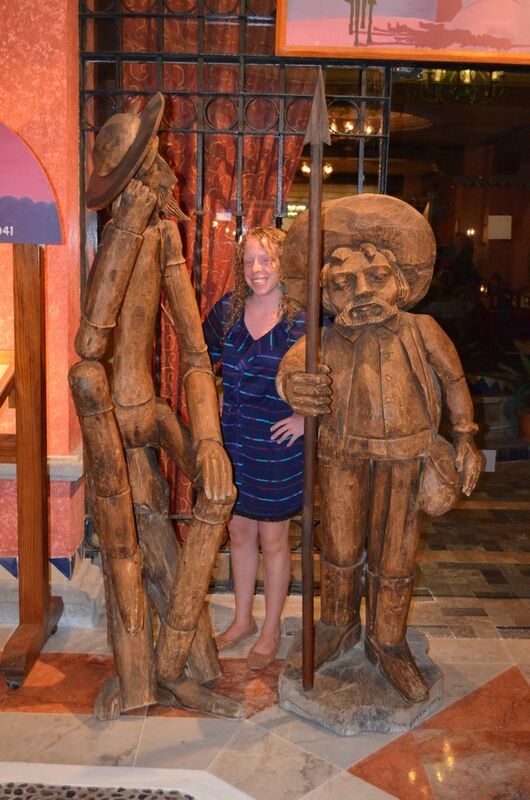 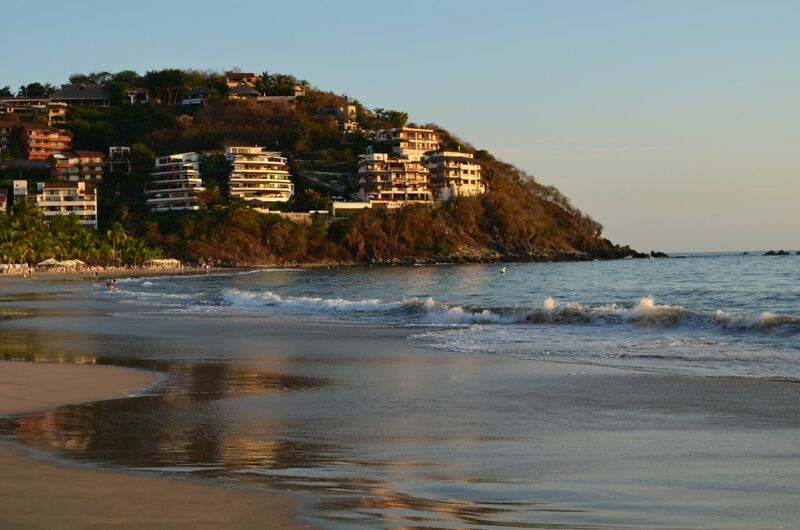 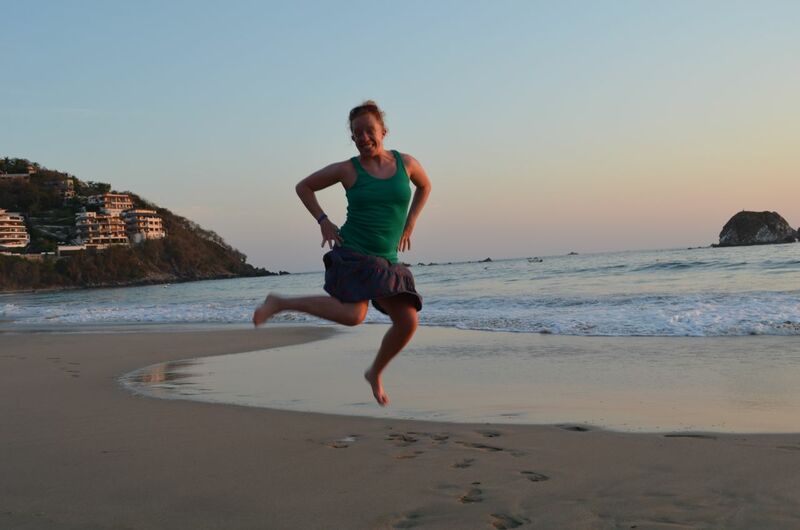 Leah and I took a trip to Ixtapa, Mexico during March. 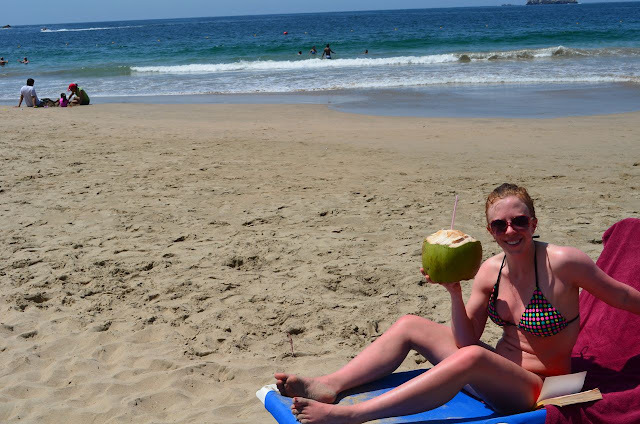 Leah had a week off from school for her Spring Break and I decided to take a week off from work after a very busy February. 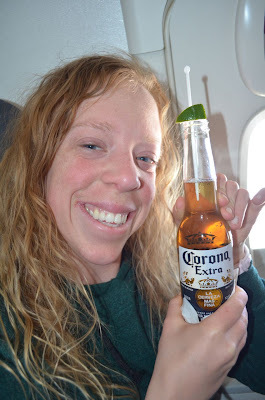 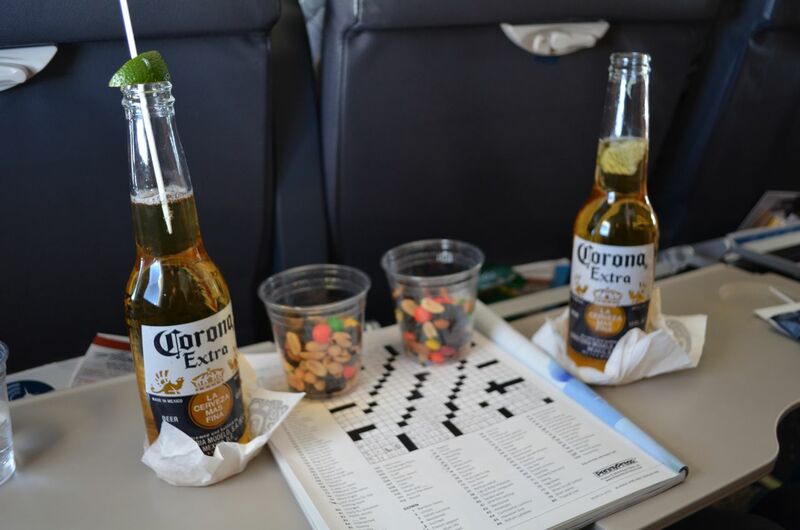 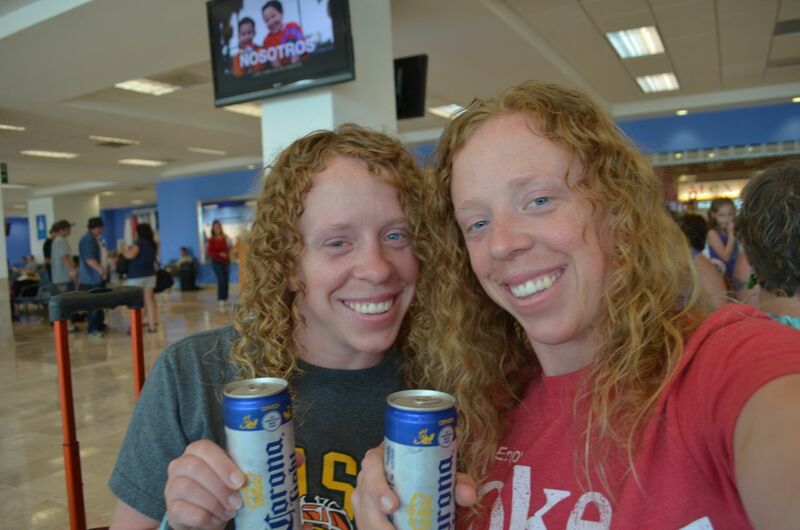 We took a family vacation to Zihuatenejo, a town near Ixtapa, a couple years ago so both of us were familiar with the area and had an idea of what to expect...including the fact that Coronas are served on all Alaska Airlines flights to Mexico! 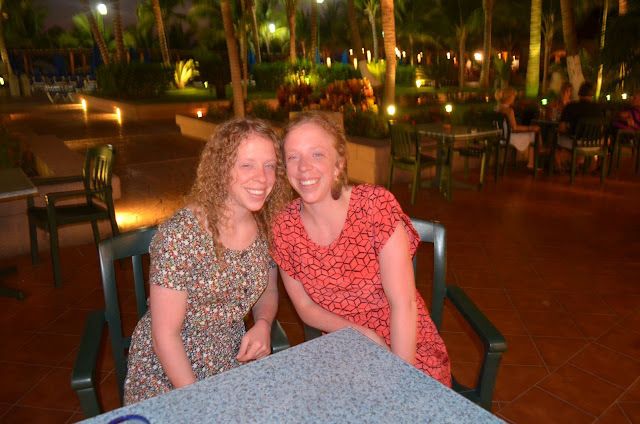 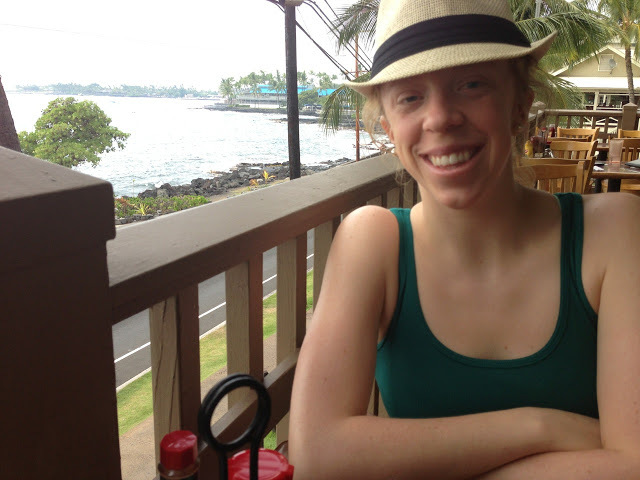 Although we stayed in a villa with the family, for this trip Leah and I decided to stay in an all-inclusive resort. 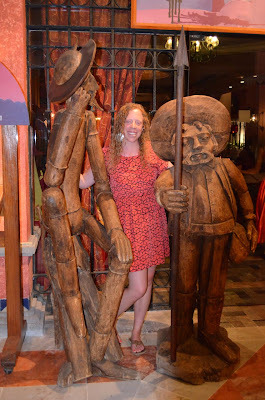 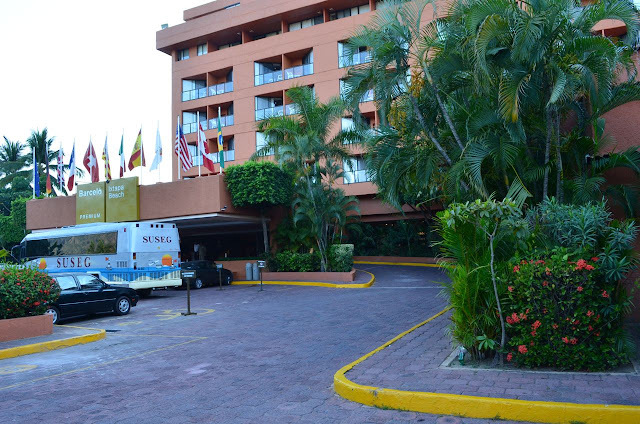 We stayed at the lovely Barcelo Ixtapa. 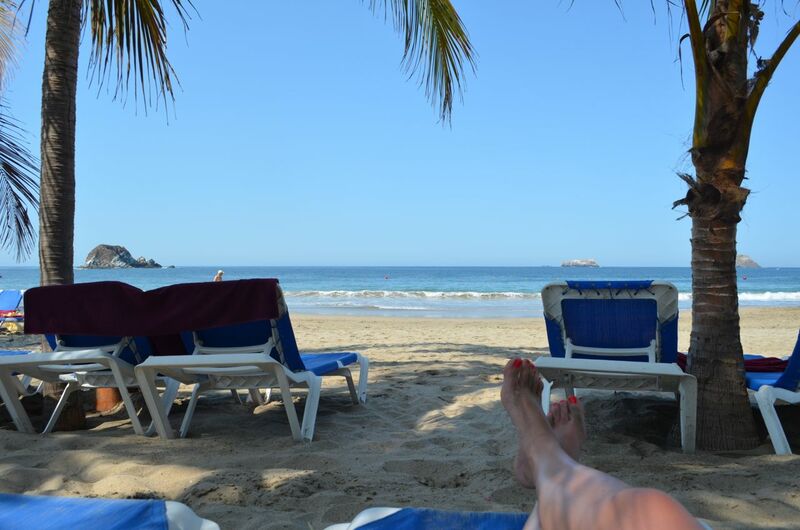 ...and by the pool in the afternoon. Leah won BINGO one day and became a finalist for a contest. 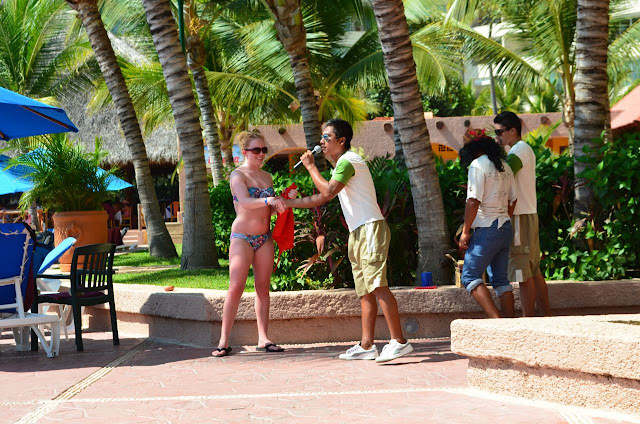 She had to sing a song while holding water in her mouth. She won the approval of the audience via applause...her prize?! 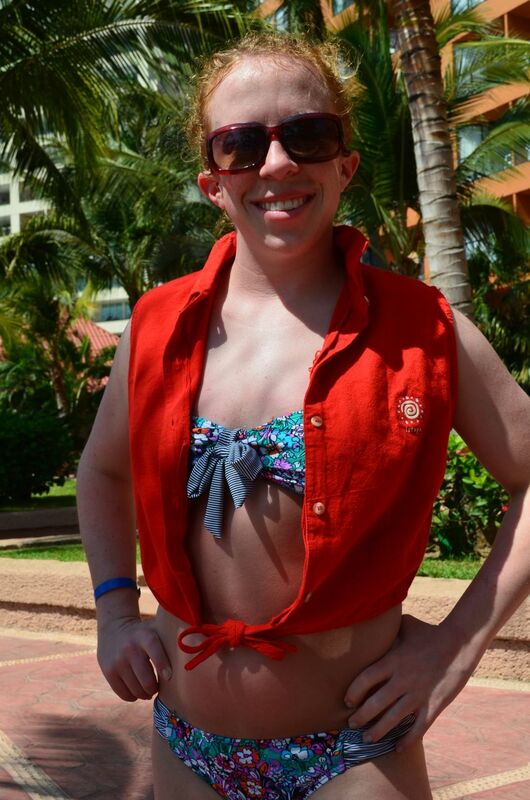 A really awesome red Barcelo sun shirt. She wore it every day for the rest of the trip...NOT! 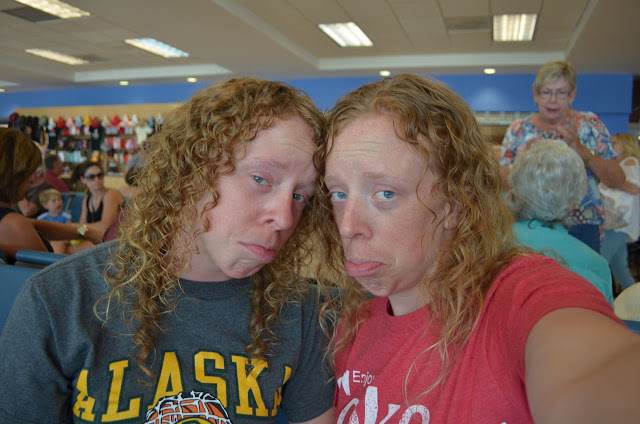 The first full day of our trip was the same day as the NCAA Tournament Selection Show so we spent about an hour on Monday at a cafe that had internet so we could fill out our brackets...and update our loved ones of our safe travels. 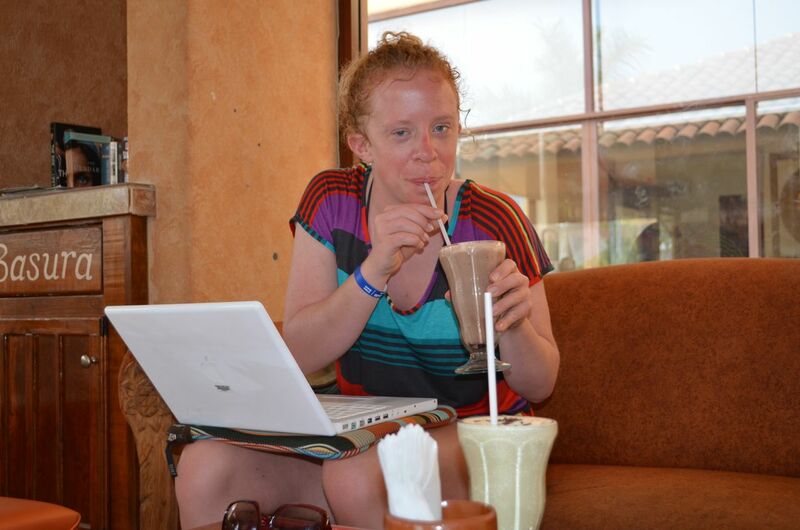 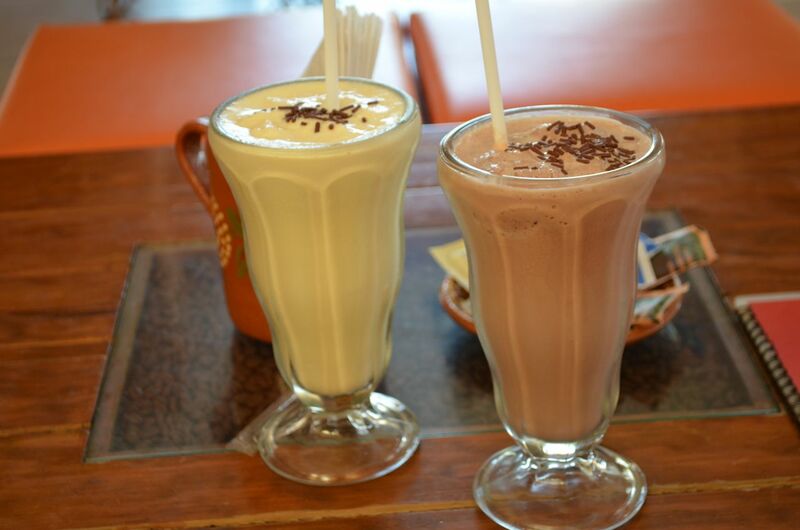 We also enjoyed a vanilla (me) and chocolate (Leah) malt. 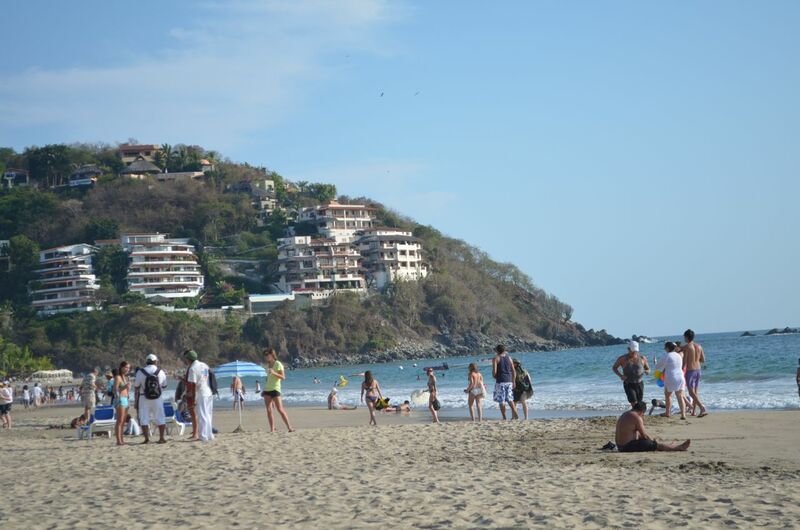 We did try to stay out of the sun at some point during each day. 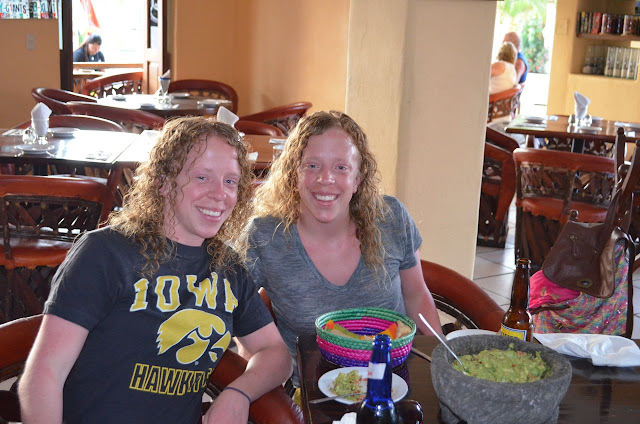 We enjoyed chips, fresh guacamole and salsa one afternoon while watching the Hawkeyes in the NIT basketball tournament at a sports bar. Most evenings were spent playing cards and eating dinner at one of the complementary restaurants on site. 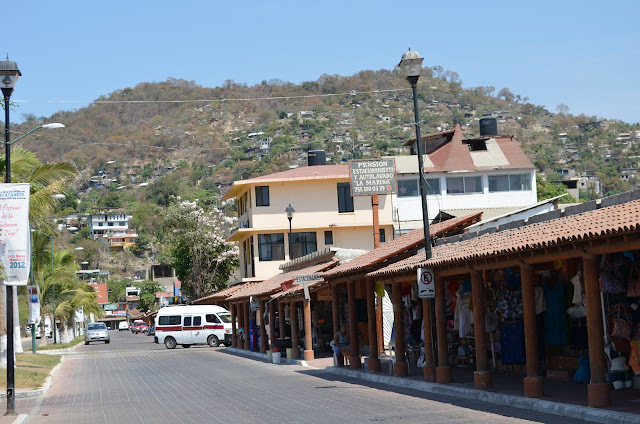 One of the days was spent in Zihuatenejo. Since we had been there before, we felt inclined to return. 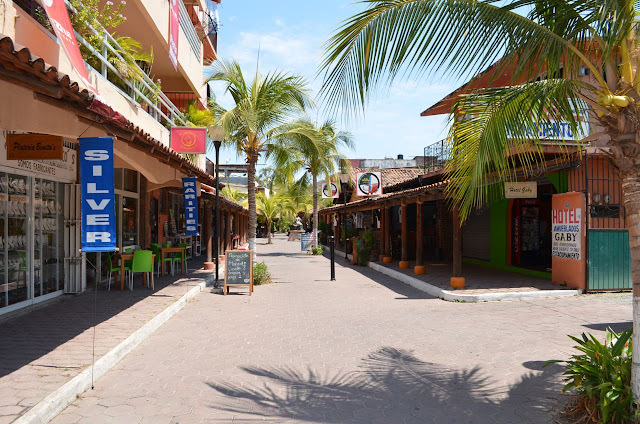 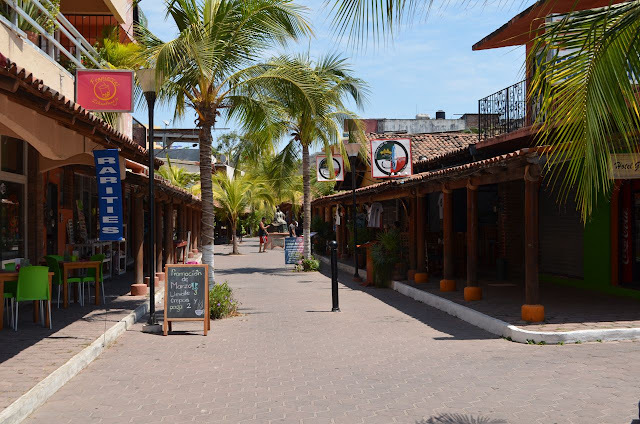 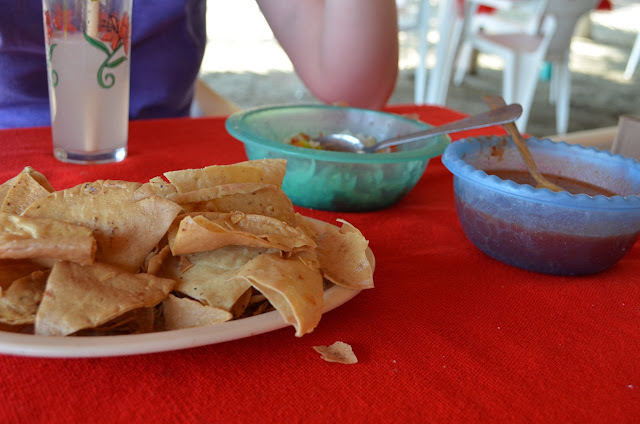 We decided to do some shopping and then had a snack before heading back to Ixtapa. 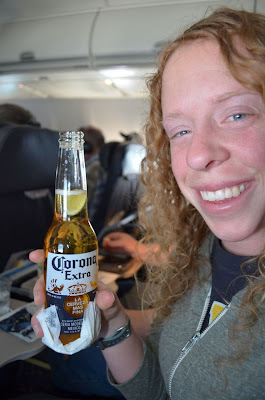 ...and decided to grab one last Mexican Corona while waiting three very very long extra hours in the airport before taking off for Los Angeles...and then Seattle...and then Anchorage. 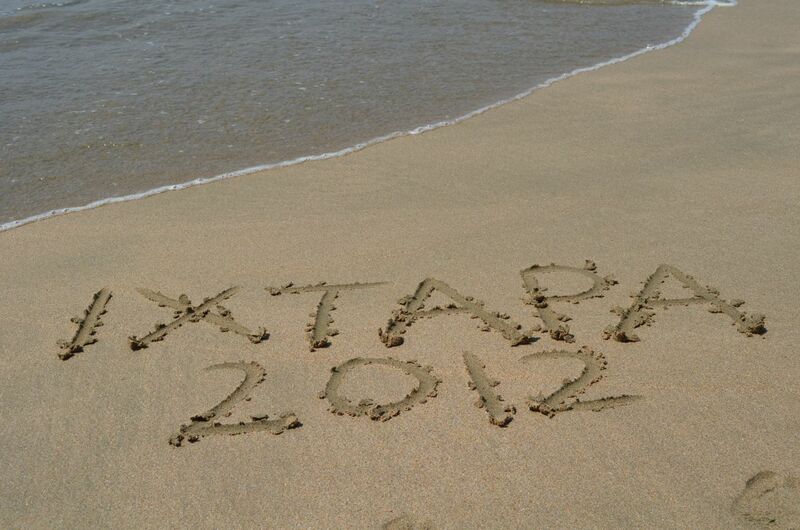 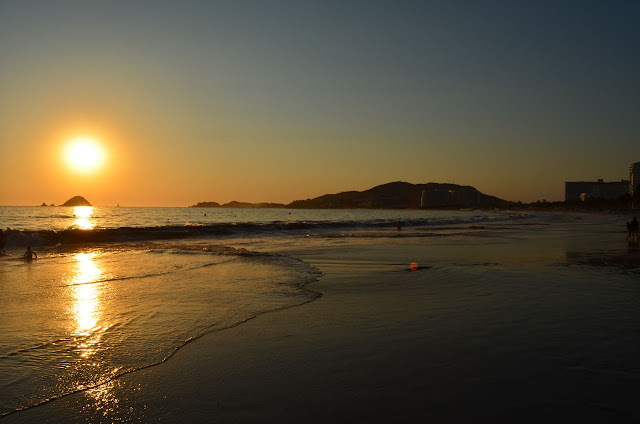 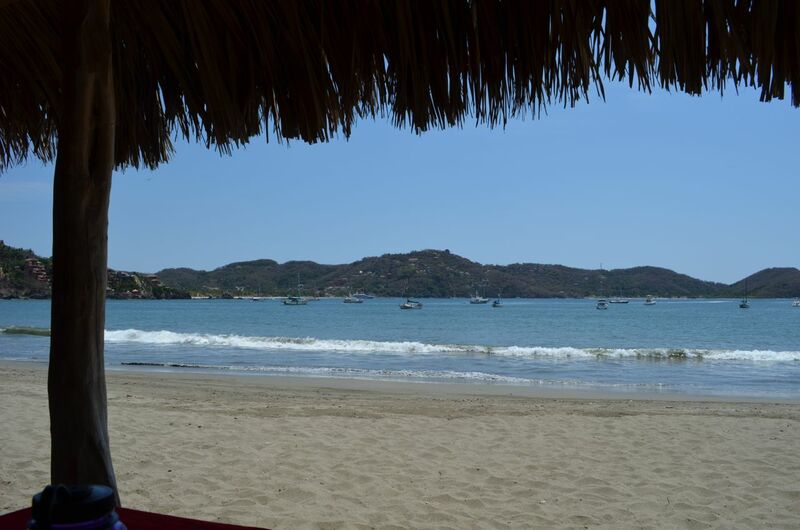 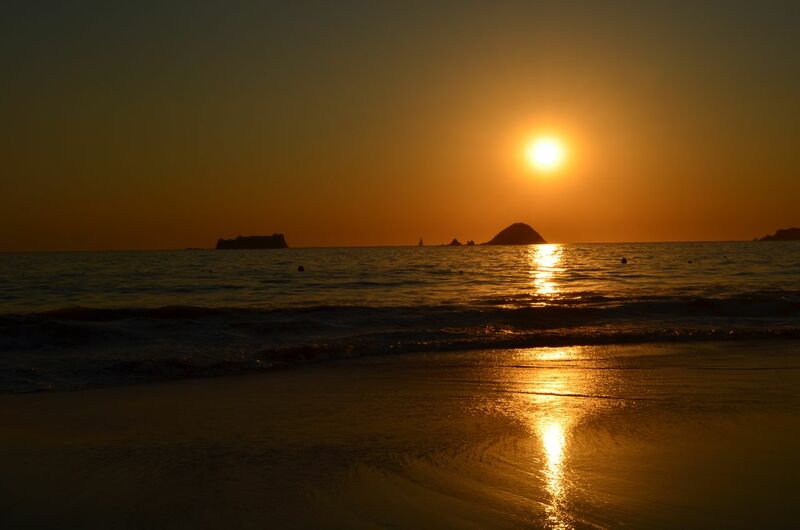 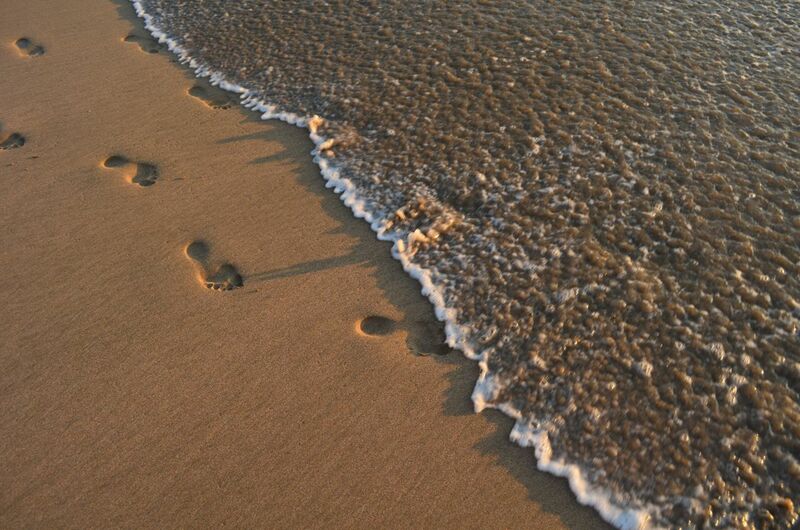 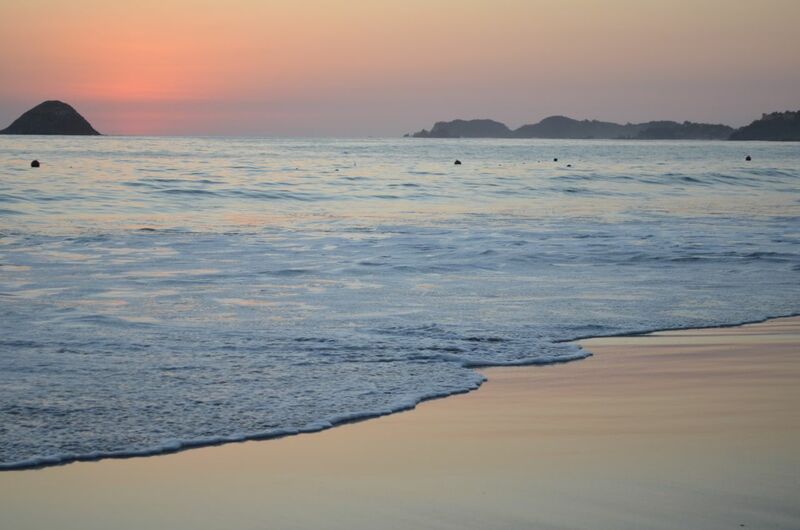 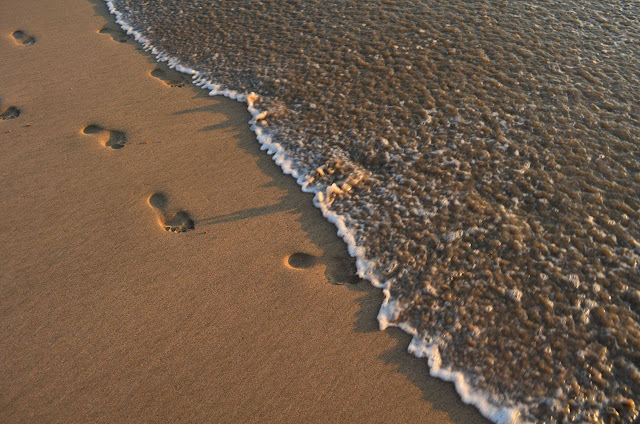 We had a wonderful time in Ixtapa and can't wait to get back to the sand soon.